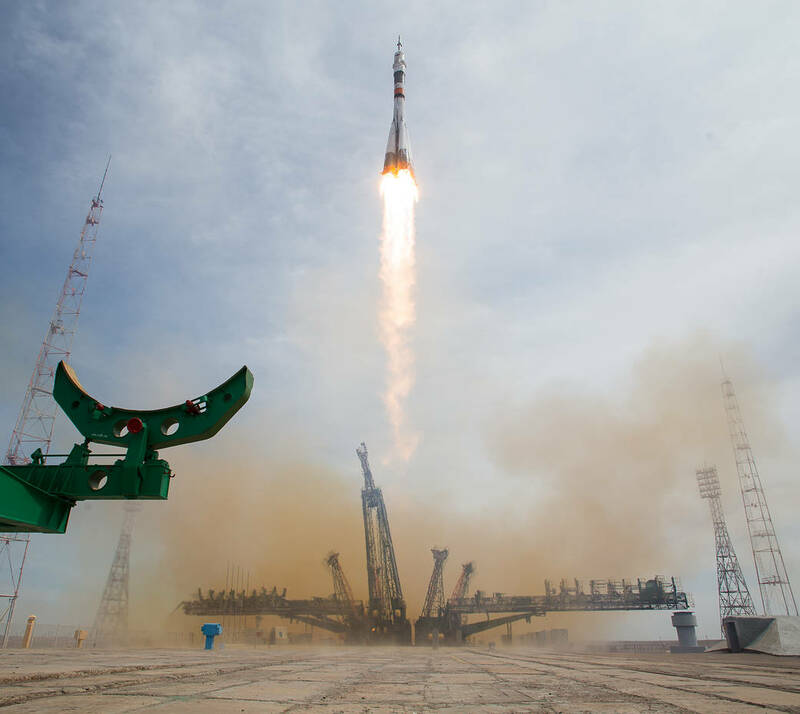 The Soyuz MS-04 rocket launches from the Baikonur Cosmodrome in Kazakhstan on Thursday, April 20, 2017 at 1:13 p.m. Baikonur time carrying NASA astronaut Jack Fischer and cosmonaut Fyodor Yurchikhin of the Russian space agency Roscosmos into orbit to begin their four and a half month mission on the International Space Station. After a six-hour flight, their Soyuz arrived at the International Space Station at 9:18 a.m. EDT Thursday, where the two new crew members joined Expedition 51 Commander Peggy Whitson of NASA and Flight Engineers Oleg Novitskiy of Roscosmos and Thomas Pesquet of ESA (European Space Agency). The Expedition 51 crew members will conduct approximately 250 science investigations in fields such as biology, Earth science, human research, physical sciences and technology development.